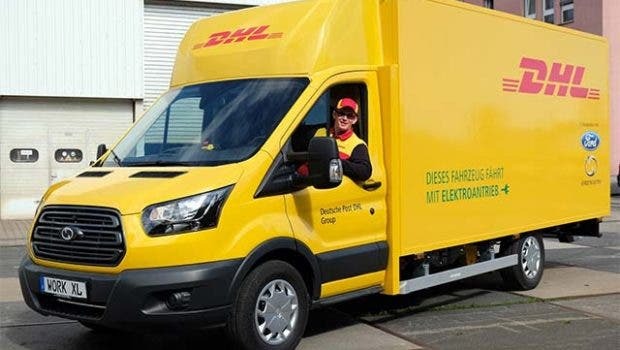 The decision of global logistics company DHL, the biggest buyer in the world of trucks, to design and build its own range of electric trucks is a game changer. Many people still doubt that trucks will become electrified. 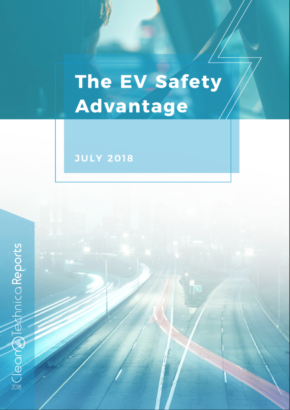 But according to financial energy specialist Gerard Reid, the adoption of electric vehicle technology in the freight sector will take place faster than expected. He gives four reasons why he is positive about electric trucks. Courtesy Carbon and Energy blog. Most people are starting to believe that the automobile will become electrified. What is disputed is the timing and whether the automobile will be hybrid or fully electric, and whether it will be battery- or fuel cell–powered. The same, however, cannot be said of trucks. Given the range and power needed, most commentators say that trucks will continue to use internal combustion engines to power their wheels although the fuel may change from diesel to natural gas. My own view is that trucks will electrify faster than what nearly everyone thinks, and not because of Tesla. The technology gaining the most traction as a possible fuel of the future for trucks is natural gas, be that in the form of Compressed Natural Gas (CNG) or Liquified Natural Gas (LNG). Natural gas is indeed the cleanest fossil fuel with the lowest carbon intensity, and in countries like the US with a large amount of low-cost gas, it may well be that trucks move to gas. But from an environmental point of view, benefits such as reduced CO2 emissions are marginal, as natural gas vehicles tend to be 15% less fuel efficient than, say, diesel engines. Another alternative is to use hydrogen, which could be created using renewable energy and burned in an internal combustion engine. However, the economics of creating the hydrogen, transporting it to where it is needed, and then burning it in an inefficient internal combustion engine mean that it makes no economic sense and probably never will. On the other hand, it may become economical to use hydrogen on board a truck to create electricity with the aid of a fuel cell. The reason for this is the high efficiency of a fuel cell, which means you need one quarter of the amount of hydrogen that would be needed if the hydrogen was combusted in an engine. The issue, though, is that there are no commercially available fuel cell trucks. The necessary hydrogen creation and refuelling infrastructure is not in place either. 1. Big trucks and ships are already electric! The biggest trucks in the world, like the Liebherr T284, are already fully electric. 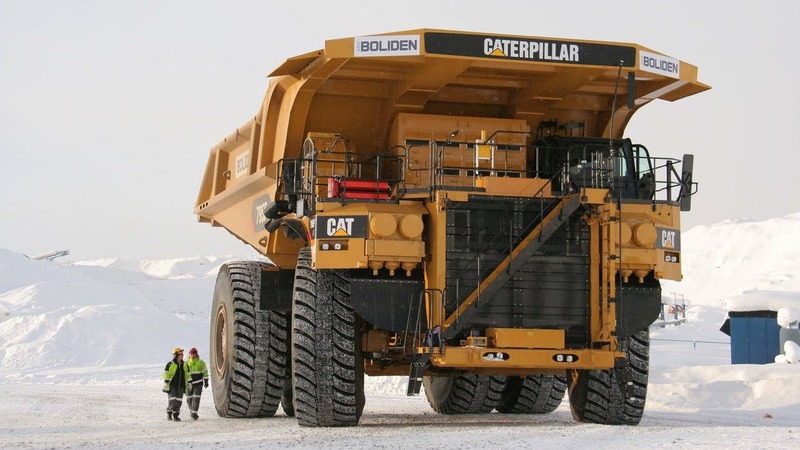 These massive beasts are so big and need so much power that the cheapest way to run them as well as the most efficient and effective way is to use an electric drive. The electricity is generated using a huge diesel generator – 3MW in size – which is enough to power 200 homes. The same is true for ships, which are increasingly using diesel-electric drive trains to power them. 2. DHL. 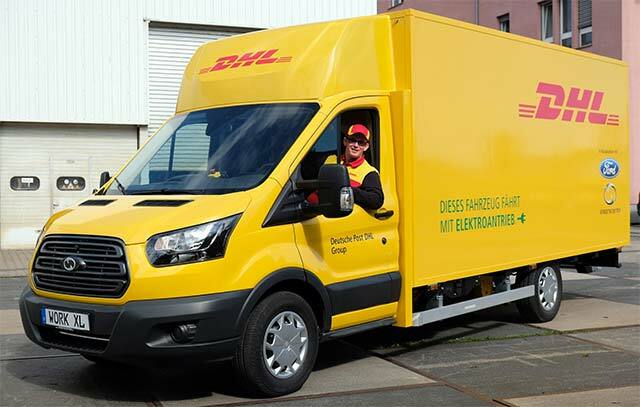 The decision of global logistics company DHL, the biggest buyer in the world of trucks, to design and build its own range of electric trucks is a game changer. Having received negative responses from a whole series of truck manufacturers to design and build electric trucks for them, they decided to it themselves. They acquired a university startup, called Scooter, and now are producing these trucks with a view to having 35,000 of them on the road by 2023. DHL is doing this for two reasons: economics and environmental impact. The beauty of any electric vehicle is the efficiency of the drivetrain – up to three times that of an average diesel engine. 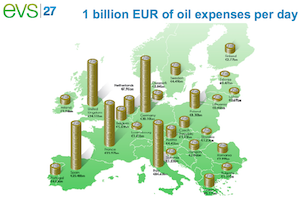 This means that the costs of running an electric vehicle are much lower than that of diesel. Upfront costs are still higher for an electric truck, but what DHL’s decision is telling us is that the total cost of ownership is actually lower than that of a diesel, especially for short-haul journeys (under 200km per day), where trucks go back to a depot where charging can take place every day. And let’s not forget that batteries are only going to become cheaper and better. 3. Regulatory pressure. 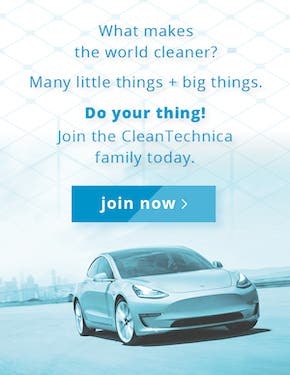 Across the world, increasing regulatory pressure on particle emissions and CO2 emissions, not to mention the banning of diesel engines across many cities, is pushing the adoption of alternative drivetrains, be they hybrid, gas or electrical. There are also lots of test programs and increasing numbers of support mechanisms in place to make this transition happen. 4. Innovation. We are living in unprecedented times. We have never had so many intelligent, well-educated people and businesses competing with each other, all of which is driving innovation at incredible speeds. Going forward, we will see massive improvements in batteries and fuel cell technologies, which will drive costs down while improving performance. And competition led by China will drive costs down across the world. In contrast, the internal combustion engine, which has seen over 100 years of development from some of the brightest minds in the world, has reached a plateau in terms of both technical progress and cost reduction. Editor’s Note: Gerard Reid is founding partner of Alexa Capital in London, a leading corporate finance business focused on energy and mobility. He has over two decades of experience in equity research and fund management in the energy area. 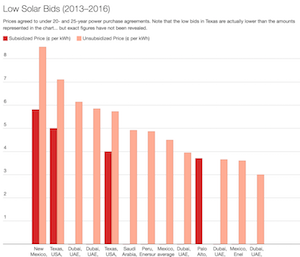 This article was first published on Energy and Carbon, a blog hosted by Reid and energy journalist and advisor Gerard Wynn. It is republished here, via EnergyPost, with permission.